Design and hand craft a beautiful pair of silver earrings using traditional silversmithing techniques. We’ll start from scratch using silver sheet and wire to slowly bring your designs to life. Your tutor will be on hand at all times to guide you through each step at a comfortable pace, ensuring each participant makes their earrings entirely by themselves. We’ll teach you all about designing, cutting, hand sawing silver, filing, soldering, shaping and finally polishing ready to take home with you at the end of your workshop! On the day you’ll have the choice of many different textures for your earrings as well as your choice of shape. You can also opt for a mis-matched pair if you wish. 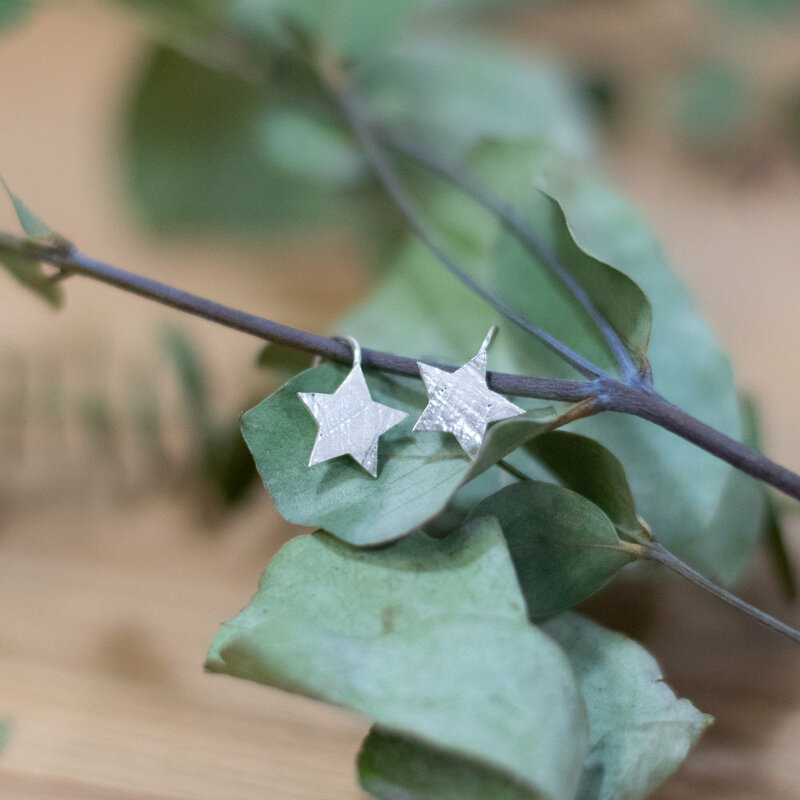 We’ll create one pair of sterling silver earrings however if time permits we may also make a second pair.